Using a subscription box fulfillment service can provide businesses with many benefits if done correctly. Managing all the moving parts of this system is often too great a task for small to medium-sized businesses to manage; that is why outsourcing to a subscription box fulfillment service in the East Coast will be a huge asset to you. Here are some of the qualities that make these outsourced companies so important. If you are currently fulfilling your customer orders yourself, you are likely paying for labor costs and rent for large commercial spaces. By outsourcing to a subscription box fulfillment expert, you can better manage your budget with a single expense that covers every aspect of the process. You can save time that would normally be spent interviewing, hiring, and training employees in different positions, and focus it on expanding your business. Since the third-party logistics (3PL) company is already working out of its own space, you automatically save on rent, utilities, technology, and other costs needed to perform daily tasks. Tired of dealing with the storing and receiving of products? An outsourced fulfillment company can help you with this so you are no longer burdened by the time-consuming operation. As your business grows, you may require more space for pallet storage, racks, bins, shipping technology, and more. An outsourced logistics company will already have a warehouse management system in place as well as an inventory control plan, order management system, and transportation management systems, so you they will be able to work for you in the quickest and most cost-effective manner possible. 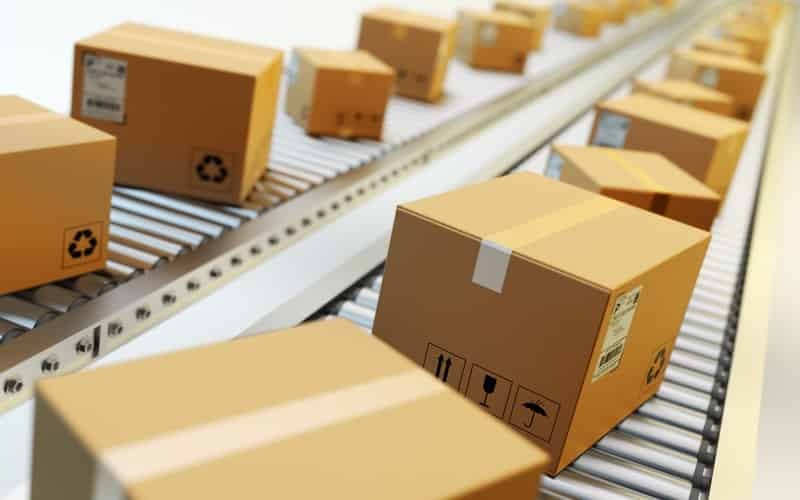 Making sure your subscription box gets to your customers in good condition can be a challenge, but outsourced 3PL companies are experienced with this task. They can package each item appropriately to minimize the possibility of any damage. You can avoid the problem of sending an item through the postal service only to find it crammed in small mailboxes, leading to unsatisfied customers who refuse to buy from you again. A logistics company with good packaging integrity will go a long way to growing your business by saving you money from returns and refunds, and boosting your rating with customers. You can focus on building your business while the 3PL company does the bulk work for you. You won’t need to rent a commercial warehouse, maintain a large facility, or worry about the safety of your inventory. Outsourcing frees you from these tasks so you can focus on marketing and growing your customer base. Are you striving for automated revenue? It’s a simple as getting your subscription box service done right the first time. When your customer makes their first purchase, you have the opportunity to lock them in through the monthly payment system and by delivering top-quality products, packaging, and customer service. This is one of the most sustainable methods of direct mail because it requires loyalty and commitment from customers who are delivered products monthly and billed automatically. If you’re looking for a trustworthy company to handle your fulfillment services, give Cannon Hill Logistics a call. We have over 30 years of experience with supply chain management, and our team is fully equipped to meet your inventory automation needs. Instead of wasting time and money manually tracking your inventory, give us a call to set up an automated system that does the bulk of the work for you. Your employees will work better, and you will feel more empowered with an accurate inventory count for your products. If you need advice about what inventory management solution is best for you or if you want to work with us, contact us at (800) 822-4747.